Hola, hola and welcome to today's post. Boohoo have challenged me to create a little festival wishlist for under £50 for those of you who might be feeling nostalgic for summer! Before I get carried away, I want to tell you a little story about a magical place called Glastonbury. I've been to a fair few festivals in my time - 10 to be exact. From my first festival experience of Leeds' fest - a teenage angst filled field - to Benicassim - oh the sunburn - none have quite had the gripping vibrance and excitement of Glastonbury. The saying goes, that regardless of how many times you have been, you'll never be able to see all that it has to offer. Which, I can definitely vouch for! It's also said that the festival site just so happens to sit on some ye olde spiritual leylines which make Glastonbury magical - all I know is that there is just nowhere else on earth that makes me quite as happy. Tickets for next year come on sale on the 4th October, and the panic has already started! One of the reason's that I love festivals so much is definitely the variety of people in attendance. There's nothing better than sitting down on the grass, pint in hand, and just people watching for a good half an hour. I'm forever making mental notes of other people's outfits so that I can try it out for myself when I next get chance. Festival fashion is so diverse and so colourful and so beautiful, it's hard not to be totally inspired by the people around you in the crowd. 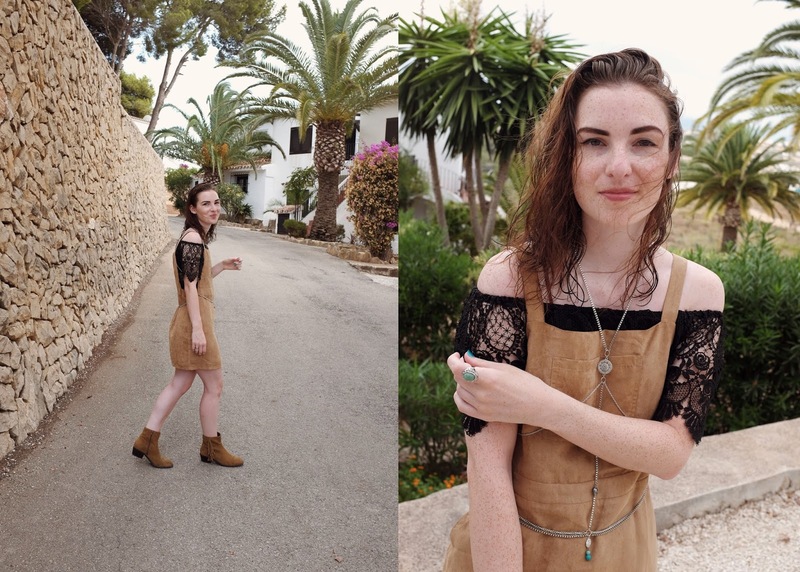 My go-to style tends to be reminiscent of this exact look - a pinafore or a casual dress, layered with jewellery and accessories. 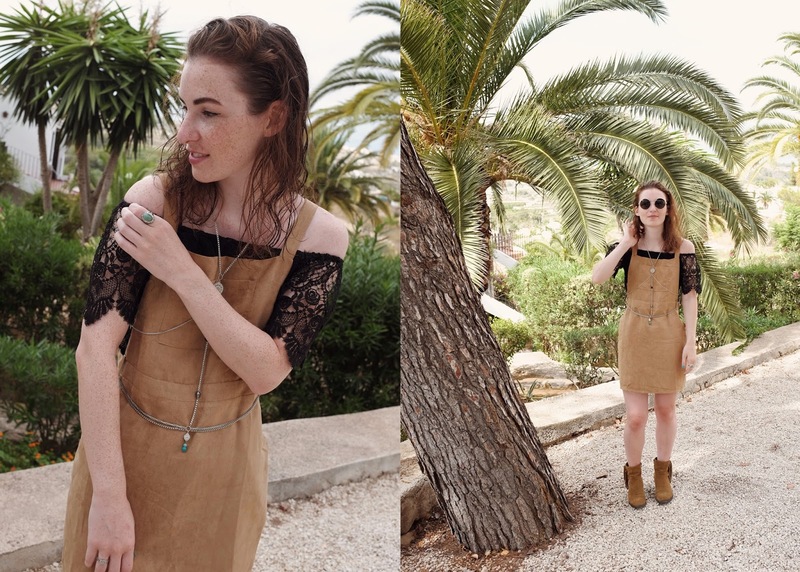 It's just the perfect thing to throw on in the tent for an effortless festival look! The camel suede of the pinafore is a gentle nod to the seventies craze of this year, whilst the crochet top is just the perfect layering piece!